Selene is the sweetest, the cutest, most adorable love bug! 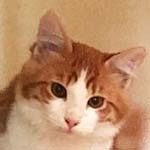 Hard to believe that such a gentle kitty could be found hiding under cars in a parking lot and still be so loving. 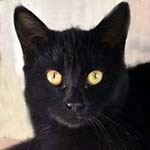 She gets along peacefully with the other cats in her foster home and loves to snuggle with them and her foster mom, too. She has a purr that doesn’t stop! Initially, Selene may be shy but once she knows you, she will shower you with affection! And delight you with her lovely self! Are you or someone you know her forever person for her forever home? 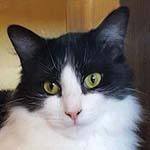 Marin Cat Connection — Please visit Selene at Petco, Montecito Center, San Rafael 11am – 4 pm Saturdays.